Mental illness is more prevalent than most other diseases and affects thousands of people who either does not have an idea or were diagnosed but does not do something about it. This is why mental health treatment centers are important. They are an essential part of society as they help promote the mental wellness of those who suffer from addiction and co-occurring disorders. For the most part, mental health residential treatment centers are more welcoming and convenient private settings which allow a person to recuperate more comfortably. 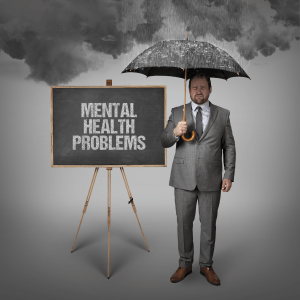 As there are thousands of mental illnesses that can affect society, it can be helpful to have an accessible facility that can mitigate the symptoms of the psychological disorders. Serious and dangerous co-occurring disorder such as depression, schizophrenia, obsessive-compulsive disorder, bipolar disorder, post-traumatic stress disorder, and other mentally altering illnesses can be rehabilitated in one reachable place. Mental health treatment centers can also be a place of refuge for those who try to rebuild their lives from alcohol and drug addiction. They offer a community where people can take part in the improvement of each other’s lives and enhance the needed support in order to overcome such difficulties. There are thousands of treatment centers throughout the country and choosing one which best fits your needs can be an utmost importance in the process of healing. Excellent mental health treatment center helps patients heal in all aspects of their lives from physical vigor, spiritual well-being, and mental wellness. A good treatment center guarantees that they provide adequate care for their patients. They see to it that they give a personalized care from the moment they step on the doorsteps. They also make sure to keep their patient motivated so they show up during counseling and therapy sessions. Efficient mental health treatment centers not only provide a solution to the physical issues associated with withdrawal from addiction, but they also focus on underlying problems that may prohibit the effectivity of the treatment program. Considering that the hidden emotional issues that caused the addiction are often more compelling than the physical hunger to continue drug and alcohol dependence, getting the right treatment can aid in working against these problems. Although self-medication can make the patient feel better for some time, it is not a long-term solution. Working on the emotional aspect of addiction can propel you towards moving past alcohol and drug dependency. Although the emotional aspect of withdrawal can be the most difficult to handle, the physical process can be as challenging as well. Withdrawal from substances often includes physical dangers and handling it cold turkey, without the supervision of healthcare professionals, can be dangerous. Getting help from a mental health institution not only guarantees your safety but it also offers the medical supervision needed when struggling to overcome withdrawal. Conclusively, the most important reason why you should get the help of a mental health treatment facility is it lets you move forward with your life without the frustrations that often comes with self-medication. It helps you prepare for the getting your life back to the outside world and equips you with the life skills you can employ when staying sober.